The face of ship design is changing. The vastly increasing complexity of European built ships and maritime structures as well as the growing number of rules and regulations call for novel concepts of product design and testing. To address this challenge a team of 40 European maritime industry and research partners has submitted the HOLISHIP (HOLIstic optimisation of SHIP design and operation for life cycle) proposal in response to the 2015 Call of the European Union’s Horizon 2020 Transport Research Programme. Now the consortium has been awarded an 11.4 M€ grant to develop the next generation ship design system for the European maritime industry. HOLISHIP sets out to address urgent problems of today’s ship design and operation, focusing on future requirements by developing a holistic approach to ship design capable of meeting tomorrow’s challenges. Most maritime products are typically associated with large investments and are seldom built in large series. Where other modes of transport benefit from the economy of series production, this is not the case for maritime products which are typically designed to refined customer requirements increasingly determined by the need for high efficiency, flexibility and low environmental impact at a competitive price. Product design is thus subject to global trade-offs among traditional constraints (customer needs, technical requirements, cost) and new requirements (life-cycle, environmental impact, rules). One of the most important design objectives is to minimise total cost over the economic life cycle of the product, taking into account maintenance, refitting, renewal, manning, recycling, environmental footprint, etc. The trade-off among all these requirements must be assessed and evaluated in the first steps of the design process on the basis of customer / owner specifications. Advanced product design needs to adapt to profound, sometimes contradicting requirements and assure a flexible and optimized performance over the entire life-cycle for varying operational conditions. This calls for greatly improved design tools including multi-objective optimization and finally virtual testing of the overall design and its components. HOLISHIP addresses these urgent industry needs by the development of innovative design methodologies, combining design requirements (technical constraints, performance indicators, life-cycle cost, environmental impact) at an early design stage and for the entire life-cycle in an integrated design environment. Design integration will be implemented in practice by the development of integrated design s/w platforms and demonstrated by digital mock-ups and a large range of industry led application studies on the design and performance of ships maritime structures. HOLISHIP will start in September 2016 with a duration of 4 years. More detailed information will be available in due time through the project’s dedicated web site at www.holiship.eu. First background information will be available at the coordinator’s site: www.hsva.de/our-research/ship-design/HOLISHIP.html . 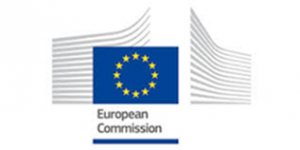 HOLISHIP will be funded by the European Commission in the HORIZON 2020 Transport Programme.